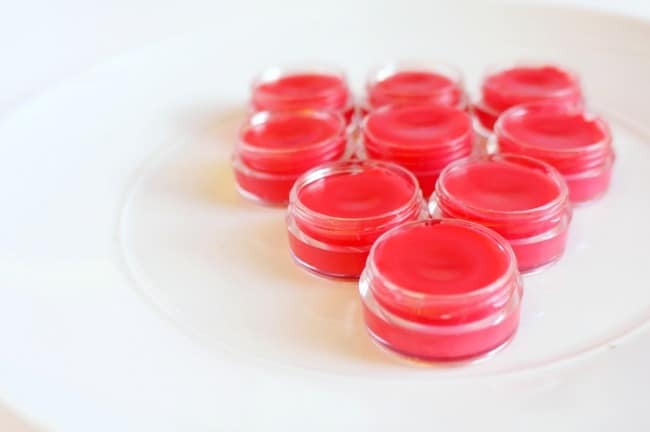 Homemade tinted lip balm is so easy to make! It’s versatile, makes a cute gift, and can be made in any color or flavor you wish. With summer upon us I am dreaming of bright colors and fruity drinks. 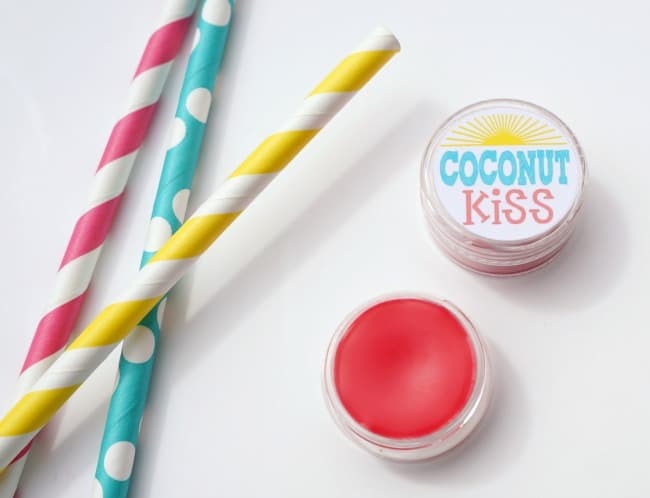 This homemade tinted lip balm combines the sweet scent of coconut and a bright pink hue to make the perfect summer lip treat. 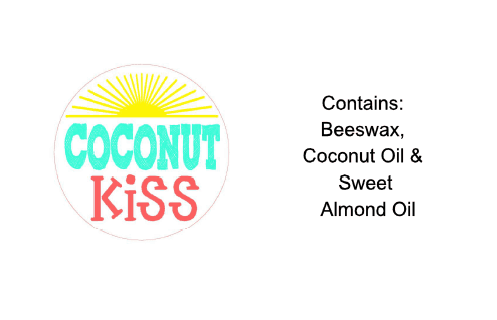 Our lips need hydration and a little color as the days heat up and this lip balm will fit the bill. Make a batch and share with your friends, I’ve got step by step instructions and printable stickers you can use. 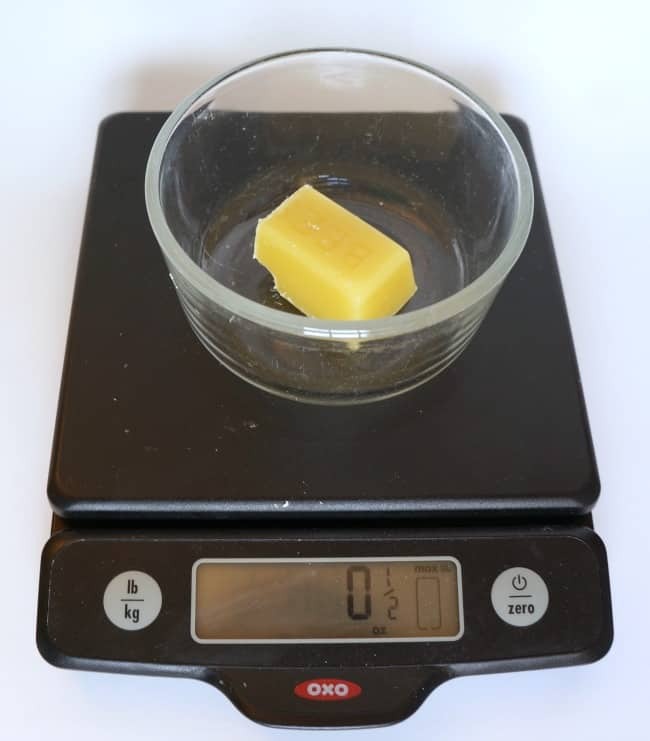 This lip balm can be made in large or small batches, the key is using equal parts of the top 3 ingredients; coconut oil sweet almond oil and beeswax. For this batch I used a half ounce of each ingredient. I weighed each one in a separate glass container first. The oils melt at different temperatures so I melted each one in the microwave at 30 second intervals then mixed them all together once they were liquid. Once combined I added a small amount of bright red lipstick. Any color will do, more color will add a deeper tone. The lipstick melted as I stired up the oils. 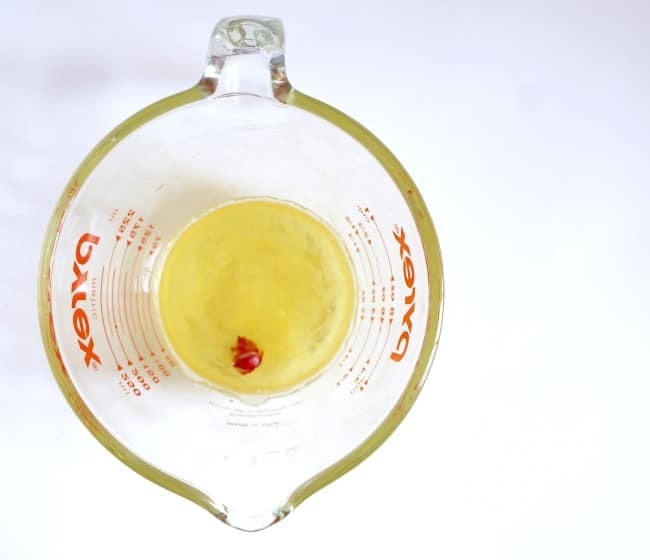 Tip: Mix and pour quickly, as this will start to solidify within minutes. Once the oils and lipstick were combined I poured them into small plastic containers. These have tight fitting screw top lids and are just the right size for a small lip balm gift. 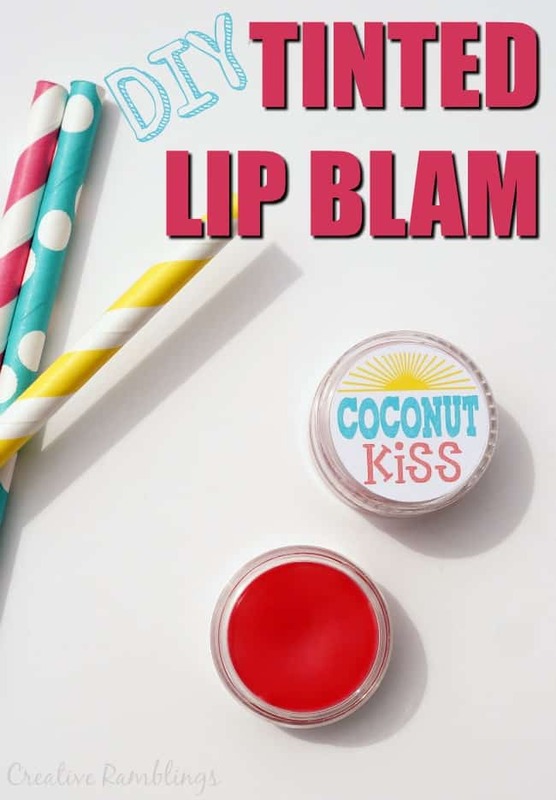 This lip balm has a subtle coconut scent. 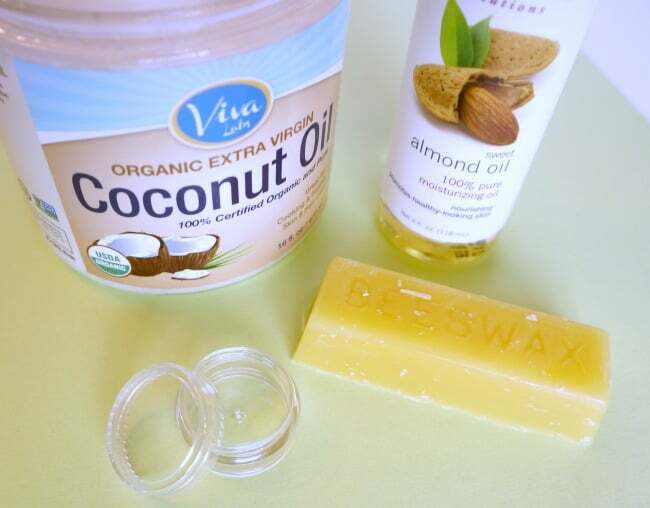 I used unrefined cold pressed coconut oil which retains it’s tropical scent when made. 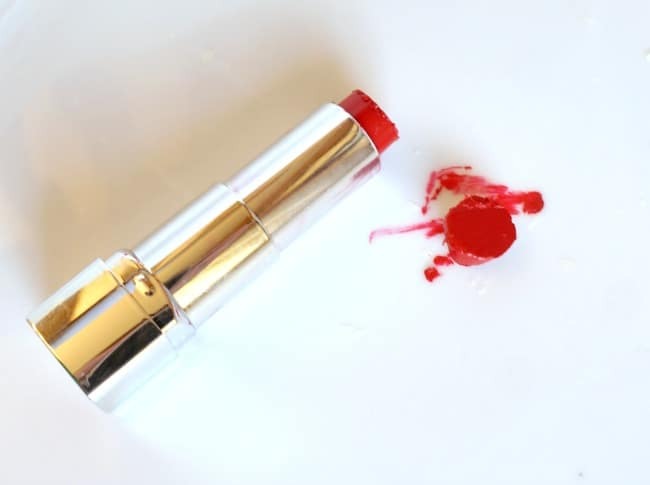 You can add essential oil for a stronger scent however I am not familiar with essential oils and chose not to play around with something that could be too potent for delicate lips. To top these lip balm containers I designed stickers for the top and bottom using my Silhouette. If you have a Silhouette or other electronic cutting machine you can download the cut file here. Just print them on white sticker paper and cut them out using your machine. If you do not have an electronic cutter (you can get one here, I promise you will LOVE it) you can print out the pdf here. Print it on white sticker paper then manually punch or cut out the circles. This lip balm will be gifted to my daughter’s teachers at the end of the school year, and we each will keep one on hand during the warm summer months. What color will you make your lip balm?